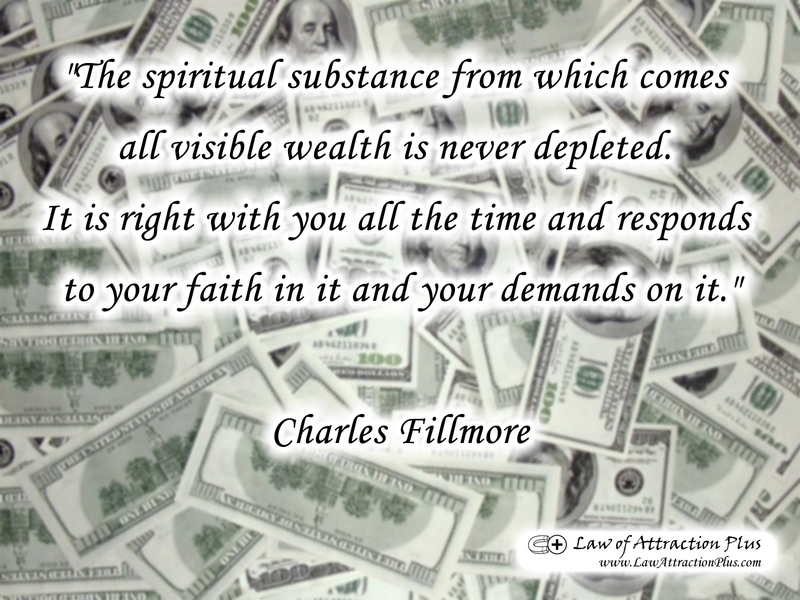 "The spiritual substance from which comes all visible wealth is never depleted. It is right with you all the time and responds to your faith in it and your demands on it." Charles Fillmore (Wallpaper + Quote) | Law of Attraction Plus: The Secret revealed!